operate economically. The goal is to minimize losses of process materials, recover and conserve resources (fiber, water, and energy), and minimize waste disposal. In addition, many rejects can be valuable and even generate income for a mill: for example metals as raw materials and plastics as a source of energy. Rejects from recycled fiber processes are worthy of optimum and properly adapted treatment to extract their full value. The processes must be cost-efficient and simple, as well as fulfilling certain requirements to ensure that the rejects can become fuel (e.g. combusted), can be sold or re-used (e.g. pelletized), or can be disposed of at minimum cost and effort. This requires knowledgeable handling of the reject and a thorough knowledge of the individual process steps. Loose pulper rejects – containing mainly plastics, metals, stones, wood particles, etc. Important source of raw materials in waste paper recycling. 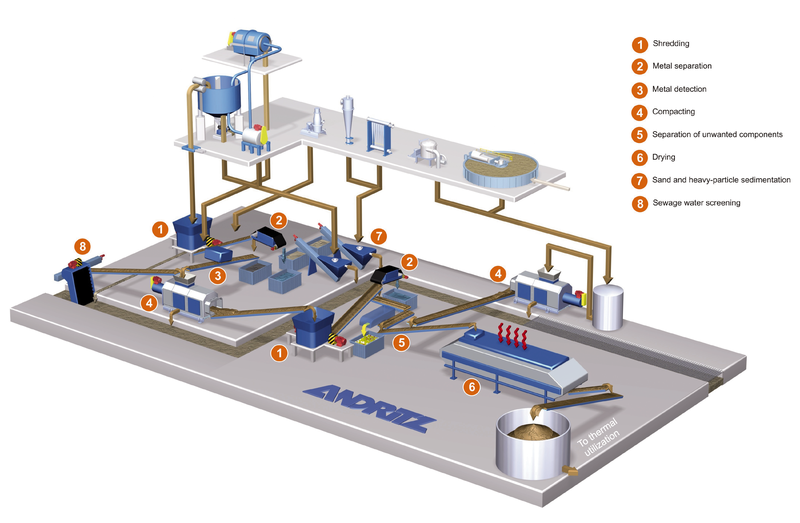 Innovative technologies for sludge and reject handling, material separation and recovery, and production of renewable energy help you reduce dependency on purchased power or fossil fuels and eliminate landfilling of waste – thus improving your mill's profitability. 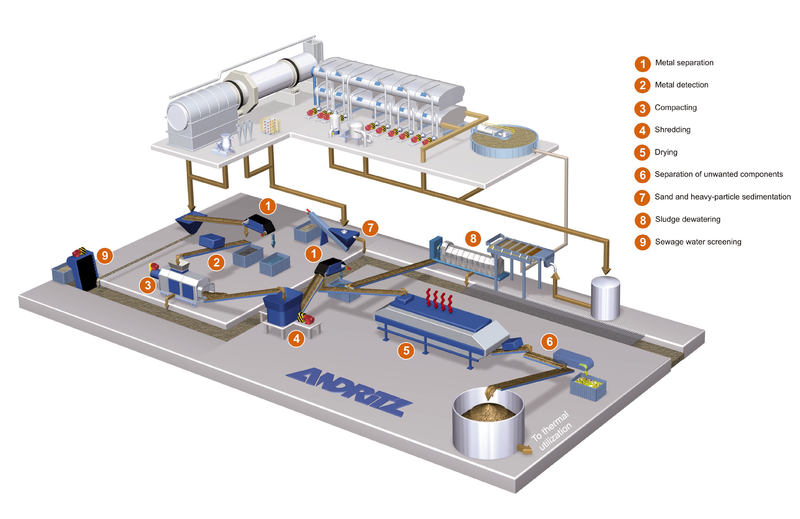 ANDRITZ has developed a two-stage process for handling pulper rags that has already proven successful in many recycling plants.